Are you thinking about learning Spanish in Spain? First of all, great decision. 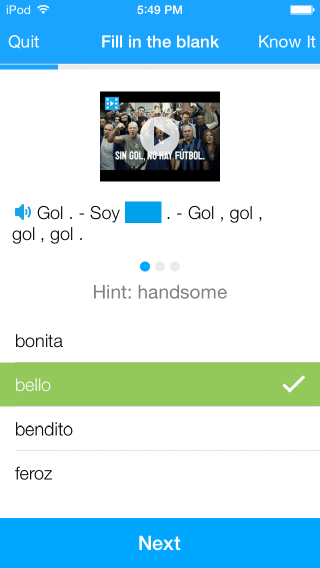 Learning Spanish by immersion is a surefire way to quickly pick up a language and have fun doing it. And Spain is a fantastic place to study and travel! If the idea of going to Spain to learn Spanish seems daunting, read on. This article will provide tips on where to learn Spanish in Spain, what to do once you’re on the ground and how to prepare for your language-learning adventure. Some say that the clearest, easiest-to-understand dialect of Spanish is found in the north-central community of Castilla y León. (Why do you think they call the language Castellano, anyway?) The nearby areas of Castilla La Mancha and Madrid are also known for their relatively clear Spanish. Cities like León, Burgos and Salamanca are known for their “clear” Spanish dialects, which may make them good places for a beginner. On the other hand, some of the Southern provinces—particularly Murcia, Córdoba, Extremadura and Cádiz—have a reputation of being slightly more difficult for foreigners to understand. However, this doesn’t necessarily mean you should avoid these provinces! Learning regional accents and slang may be tricky at first, but it also can be part of the fun of learning Spanish. 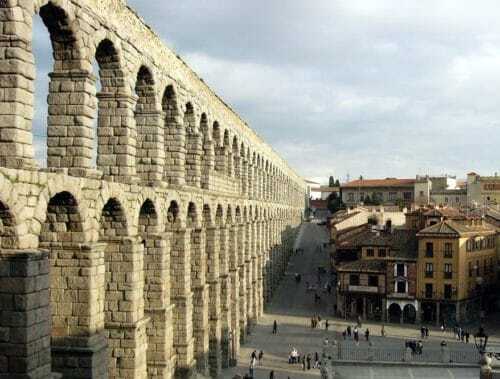 And take it from someone who learned Spanish in Extremadura—once you master the regional dialect, you’ll be well prepared to speak Spanish with anyone you meet in Spain. All in all, each community in Spain has its own interesting linguistic characteristics! Many people associate Spain with Castellano, but Spain actually has many co-official languages with recognized status in certain autonomous communities. You can find Basque spoken in Basque Country; variants of Catalan in Catalonia, the Balearic Islands and Valencia; and Galician in Galicia, for example. Of course, the vast, vast majority of people you meet in these communities are fully bilingual in Castellano Spanish. If you end up in one of these parts of Spain, you may even end up picking up two languages in one! Many of these territories have interesting history and politics surrounding language use, so be sure to study up before you embark. When you think of Spain, perhaps certain cities come to mind: Madrid, Seville, Barcelona, Valencia…? These bigger cities are great places to learn Spanish for a number of reasons. You may find more academies that provide Spanish classes for foreigners or perhaps even a university with Spanish courses. Additionally, many big cities have language exchanges set up for those who want to practice: Madrid Language Exchange runs four events a week, and Barcelona Languages & Friends runs a weekly event. On the other hand, small cities and towns provide their own benefits. Fewer foreigners means you have a better chance of immersing yourself in a Spanish-speaking community, without the lure of constantly hanging out with others that speak your language. Not to mention, your money tends to go farther in a small town, which means you may be able to extend your trip longer than if you based yourself in Madrid or Barcelona. Salamanca: Known as a university town, Salamanca is full of students and other young people. It has several language academies, such as ISLA and the Don Quijote Spanish Academy. Gijón: What could be better than learning Spanish next to the beach? Gijón, and the province of Asturias in general, is famous for its surfing, seafood and sidra (hard apple cider). Check out Lawton School for Spanish classes at all levels, including business-focused classes. Córdoba: Come to Córdoba and be awed by the delicious food and the impressive Moorish architecture. While you’re there, check out the Cordoba Spanish School, which offers small group courses as well as specialized courses for teens and families. Logroño: Logroño is a small but vibrant city located in the middle of La Rioja, Spain’s primary wine region. Need I say more? In addition to delicious red wine, Logroño is also known for its pintxo (small snack) food culture. The La Rioja Spanish School offers general and intensive summer courses—they even offer one that overlaps with Logroño’s annual wine week! Of course, these are just a few of Spain’s many fantastic small and mid-sized cities. The point is, don’t be afraid to open your mind beyond the typical tourist destinations in Spain. You may find a small city that you truly fall in love with! Meetup.com is a great resource for finding language exchange groups. Beyond language-specific groups, consider also looking for other meetups that suit your interest (sports teams, book clubs, running clubs, young professionals meetups). These can also be a great way to immerse yourself in Spanish and make new friends in the process. Couchsurfing will frequently contain announcements for local language meetups as well as other cultural events where you can practice your Spanish. Conversation Exchange allows you to connect with locals who are looking to practice English. You set up a short profile and message others who speak your target language to set up penpal arrangements, Skype sessions or in-person language exchanges. Tus Clases Particulares is frequently used by English tutors looking for students. You can post a listing stating that you’re a native English speaker looking to practice Spanish in exchange for English. Your local university may also offer language exchanges for students. If not, they may have a bulletin board where you can advertise yourself as a native speaker looking to exchange your English skills for some Spanish practice. In many cities in Spain—and even in some small towns—you can find escuelas oficiales de idiomas (official language schools). These language learning institutes are owned and operated by the government, and they offer foreign language classes at highly subsidized prices. Some, but not all, offer Spanish classes for foreigners, commonly broken up into levels from beginner to advanced. Escuelas oficiales de idiomas, or EOIs, are a great resource for anyone who’s planning to stay in Spain long-term (at least a full semester). Even if you aren’t planning to be in Spain for that long, consider checking out your host city’s EOI anyways. They may host language exchanges, be able to pair you with a conversation partner or offer other language learning resources. This website has a list of all of the EOIs in Spain, with links to each specific school’s website. Consume Spanish media. What’s the point of flying halfway around the world if you’re just going to sit around watching “Scandal” and reading The New York Times? While in Spain, do your best to watch Spanish-language TV (my personal favorites were “¡Ahora Caigo!” (“Now I Get It”) and “Cámbiame” (“Change Me”), both on the channel Telecinco, and read Spanish-language news. 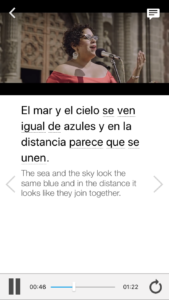 If you absolutely must watch your favorite TV show in English, consider adding Spanish subtitles so that you’re at least reading along while you watch. Limit the video chats and texts with people back home. One of the benefits of learning Spanish in Spain is that you get to be surrounded by your target language all the time. However, you forfeit these benefits if you continue to operate most of the time in English! Of course, it’s important to be in touch with friends and family back home—they’ll want to know how you’re doing, and homesickness is a real thing! But try to limit the amount of interaction you have in English. Not only will it disrupt your Spanish immersion, it’ll also take away from your overall experience. If possible, live with Spanish roommates. It can be easy for expats in any country to fall into expat-only friend groups. One great way to avoid this is to live with Spanish roommates! That way, you’ll have built-in conversation partners even while you’re at home. Plus, you might get lucky and make friends with your roommate(s). Beyond the obvious language-learning benefits, having friends from another culture can be a beautiful experience! Finding Spanish roommates isn’t as hard as it may sound. In bigger towns or cities, check websites like segundamano.com, milanuncios.com or easypiso.com. In smaller towns, do it the old fashioned way: start walking around and look for “Se alquila” (For rent) signs. Strike up conversations whenever possible. When it comes to language-learning, reading and listening comprehension is only half the battle. To be fully fluent in a language, you have to practice speaking as much as possible. So, start small—ask someone for directions, ask a waiter what their favorite dish on the menu is, compliment a cashier’s hairstyle and so on. These 30-second conversations may not seem like much, but they’ll work wonders for your confidence and help you achieve fluency faster. Don’t be afraid to make mistakes. This is perhaps the most important tip for immersion. When learning a new language, it’s absolutely inevitable that you’ll make mistakes—even as an advanced speaker! And yes, sometimes those mistakes will be mildly embarrassing. But don’t let the fear of making mistakes stop you from interacting with native speakers! It’s the only way to learn, and sometimes, those mistakes turn into hilarious stories. You can prepare for your trip by immersing yourself in Spanish before you even leave for Spain. Just boot up FluentU for an authentic experience. This is my number-one tip for anyone—particularly Americans—going to Spain to learn Spanish. The vosotros form is not commonly taught in American schools, which tend to teach Mexican and Central American rather than European Spanish. 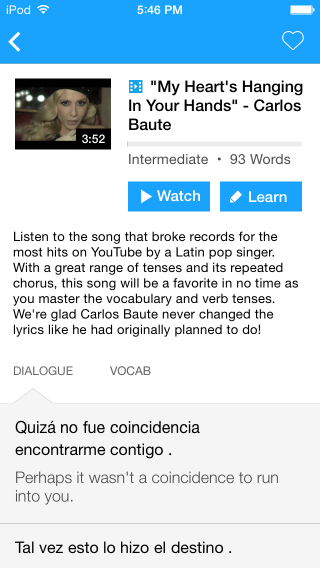 For those of you who are unfamiliar with the vosotros, it’s the second-person plural informal tense. (Personally, I like to think of it as the “y’all form.”) While most Spanish-speaking countries in Latin America use ustedes in both formal and informal situations, Spaniards distinguish between the two. So, in Spain, if you’re addressing a group of friends, classmates or acquaintances, you’ll want to learn and practice using vosotros. Learn about the differences between Spanish and Latin American vocabulary. When I moved to Spain, I sometimes felt like I was learning a completely new langauge—even though I had been studying Spanish since age 6! Just like the differences between British English and American English, Spanish-speakers in Spain use many words that you won’t normally hear in Latin America. For example, I was surprised to learn that in Spain a computer is an ordenador (not a computadora) and beans are judías (not frijoles)! Learning this new vocabulary while you’re on the ground is, of course, part of the fun. But if you want to brush up before you leave, check out this article on the topic. 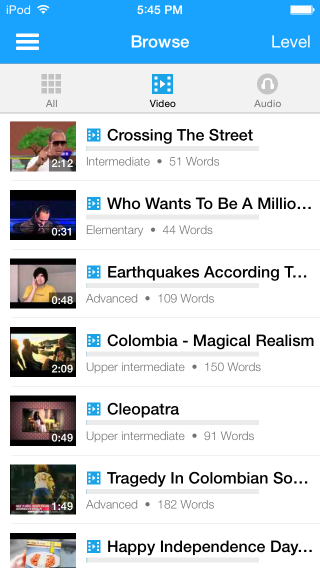 Watch videos to get used to the Spanish accent. For those who have primarily studied Latin American Spanish, understanding a European Spanish accent can take some adjustment. Prepare before you leave for Spain by watching some Spanish videos online. Beginners & intermediate speakers: The BBC runs a great series of Spanish lessons, including video and audio lessons. Check out their series Mi Vida Loca: Spanish for Beginners to hear Spain-accented Spanish that’s great for new speakers. Intermediate to advanced speakers can check out BBC Mundo for written and audio news in Spanish. Intermediate & advanced speakers: Check out the hilarious videos produced by YouTuber Fortfast, who interviews young Spanish people about their lives. 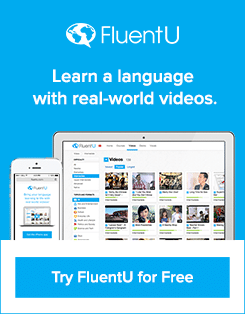 You’ll get a sense of the accent as well as Spanish slang—but most of the videos also have Spanish subtitles, which will make them easier to understand. Advanced speakers can also check out the Spanish TV programming at RTVE or Telecinco. This article has been a quick crash course in how to prepare to learn Spanish in Spain, but it’s just the beginning! 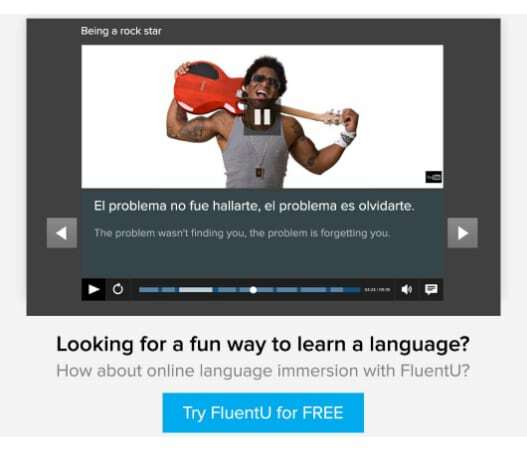 Check out this article on Spain and this one on immersion to keep learning more.